With solar, you can stop paying and start earning! Contact us for more information or a free estimate. Electricity rates will continue to rise. 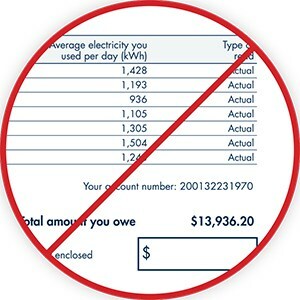 Ontario's Net Metering program can offset your electrical expense by as much as 90%. Take control of your electricity costs by having Global Point install a world-class solar net metering system at your facility. The electricity produced by these systems can displace up to 100% of your electrical demand, providing you with a predictable and affordable rate for the next 25+ years. Global Point has successfully installed over 220 commercial scale systems. 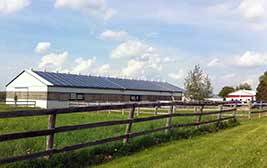 In addition Global Point owns five solar systems ranging from 100 kW to 500 kW. We have the know-how and experience to help you solve your energy problems. 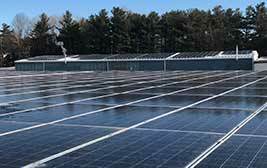 We can show you how putting a net metering solar system on your commercial building or residence can save you money for years to come. With interest rates at historical lows, up to 100% financing of your investment can be considered with marginal risk. As plant owners, Global Point can help you optimize your financing strategy and maximize your ROI. Solar net metering systems will reduce the exposure of your roof to solar radiation, increasing the longevity of your roof and reducing the cooling burden on the building. FULL capital cost (CCA) writedown in the first year essentially gives a 25% offset on capitol cost of the system. AS the world shifts to clean sustainable energy sources your company will be recognized for its environmental stewardship. You can also enhance the marketing potential of your product in the era of the environmentally conscious consumer. Take your first step towards power independence. 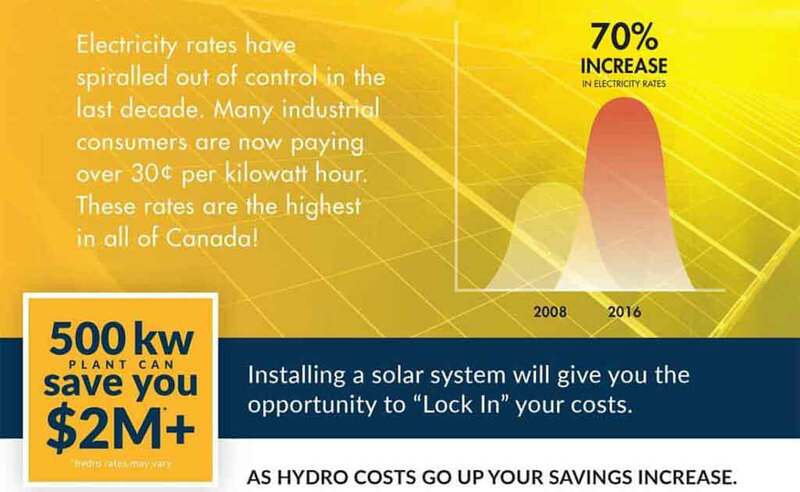 Click here now to get a FREE solar consultation. Watch this Bloomberg video that discusses how green energy is the most active energy sector for investment. More cost efficient renewable energy is making the sector more attractive to investors. John Cook, president and CEO of Greenchip Financial, looks at how green energy producers are creating both disruption and investment opportunities. The Global Point team can help you to create your solar solution. People – Process – Experience. 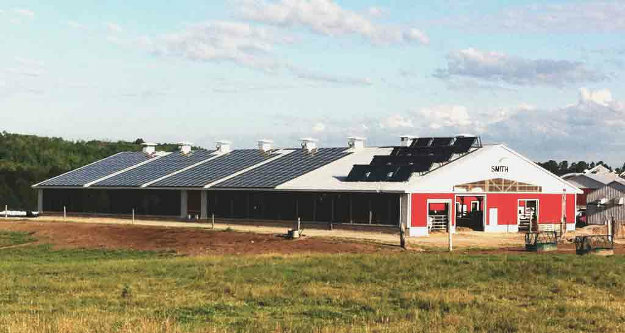 500 kW – 60,000 – 90,000 sq.ft. 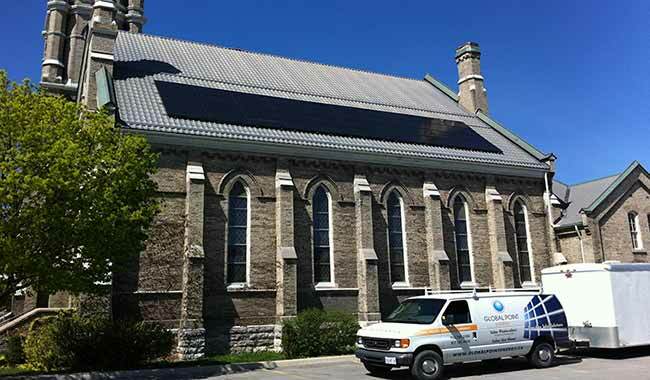 Global Point Energy installs high quality solar panels designed for the coldest Canadian winter. 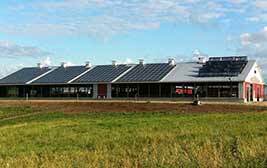 Our solar panel system was chosen by the municipally-owned solar power plant at Lilly Lake near Peterborough Ontario, while our commercial customers range from hotels and apartments to dairy farms. Planning a large utility project? 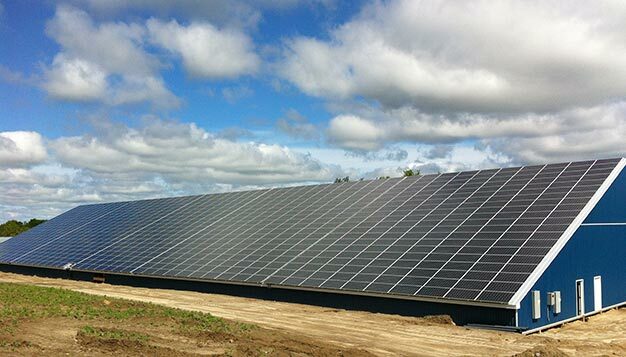 Net Metering is the new Ontario green energy program that benefits you by offsetting your electrical costs. When your solar system produces more power than you use, you aren't paying for electricity. Surplus generation is fed back to the grid, giving you credits that can be used when you're using more than you produce. You can reduce your electrical costs up to 90%. Each case is different. Every kW you produce is one less you draw from the grid and have to pay for. Contact us to find out how you can get with the program! 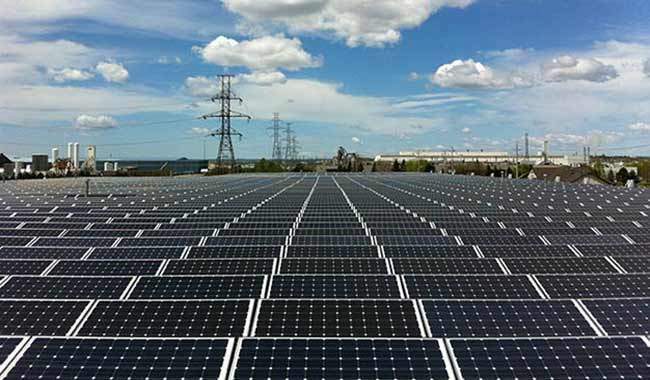 Net Metering system offering savings for the next 30 years.